Wrote lyrics, played drums and guitar since 11 and found that it's a huge passion of mine. So now I live and breath music and want to share, hoping to inspire. “A new one & a good one” is how the late Sir Terry Wogan defined Singer-Songwriter Caroline Harrison's single on his BBC Radio 2 show. Born in Kent, a family move to rural West Wales in 1997 threw Caroline into music and went on to help shape what has so far been a very successful career in music. Highlights include supporting Texas, Charlotte Church & touring across Germany with the band Livingston. Her debut EP was recorded in Stockholm and the self released single 'Beyond the Darkened Sky' rapidly gained support from Sir Terry Wogan & Paul O'Grady on their BBC Radio 2 shows & 'Artist of the Week' for BBC Radio Wales. Steve Lamacq also played the track on his BBC 6 music show and Caroline gained support from over 70 regional stations in the UK. Having opened to a crowd of 30,000 at the Smooth Radio Live at The Waterfront in Liverpool she continues to captivate audiences with her live performances. 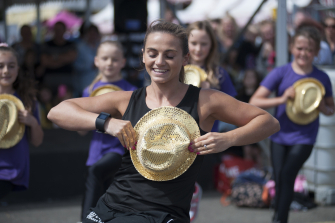 Dreams Dance School, led by Victoria Ravenscroft Atkinson Thomas will delight Festival visitors with another al fresco performance. Based in Theatre Mwldan Cardigan, with 200 pupils from 2½ years of age through to 21 years old, Dreams teaches a variety of styles within the RAD and IDTA syllabus ,from Street, Tap, Modern Jazz to Musical Theatre and Classical Ballet. 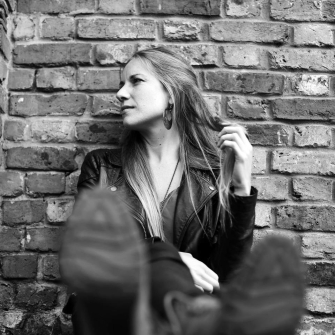 Danielle Lewis is a highly distinctive singer/songwriter hailing from West Wales. Her emergence on the global stage has solidified her rightful claim as an ambassador of distinctive, traditional Welsh roots and contemporary folk. Danielle has released three bilingual EPs and performed her songs across a broad series of festivals, radio shows and TV appearances. From The Great Escape, Truck Festival, Festival No 6 to a storming Maida Vale live session, and material broadcasted on 6 Music, BBC Radio 3, BBC Radio Wales and BBC Radio Cymru. Danielle has also performed or featured on Welsh language TV shows Heno and Noson Llawen as well as regular airings on S4C and BBC Two. 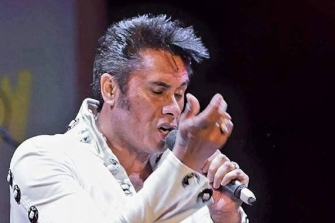 Desmond Perenara: officially Wales’ Best Elvis Tribute Act and Winner of the Best Welsh ETA, 2018 at Porthcawl in June this year, star of Welsh Coastal Lives on TV and much loved local performer brings his Elvis Presley tribute show to the River and Food Festival once again - A rock and rolling way to close the Festival.